I’m revisiting a few of my favorite places along the California coast on this bon voyage, so it seems the perfect opportunity to revisit a few favorite box and booze destinations as well along the way. 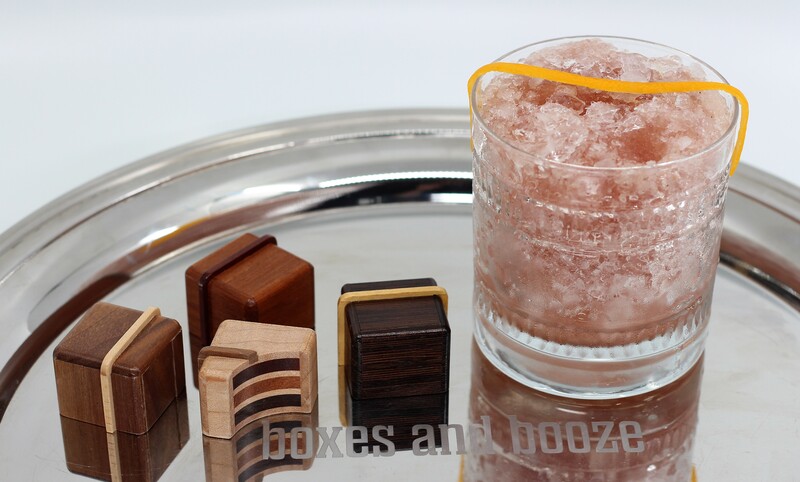 Here’s a small and sweet puzzle box treat to tempt the taste buds, Perry McDaniel’s Bon Bon series, a set of four diminutive puzzle boxes which resemble bite sized bon bons. There are only four of these delectable desserts in the Bon Bon series, but I wish there were a dozen. With that in mind I’ve paired them with another incredible “unlocked” cocktail from one of the most innovative zero-proof mixologists around, Mike Di Tota from New York, who’s cocktail “Billow’s and Thieves” I also featured on these pages. He is the General Manager and Bar Director at The Bonnie in Astoria, Queens, where he created a number of sophisticated zero-proof cocktails. He holds a degree in botany from the New York Botanical Garden School of Professional Horticulture, and uses his understanding of roots, bark, seeds, stems, herbs and flowers in his delicious drinks. 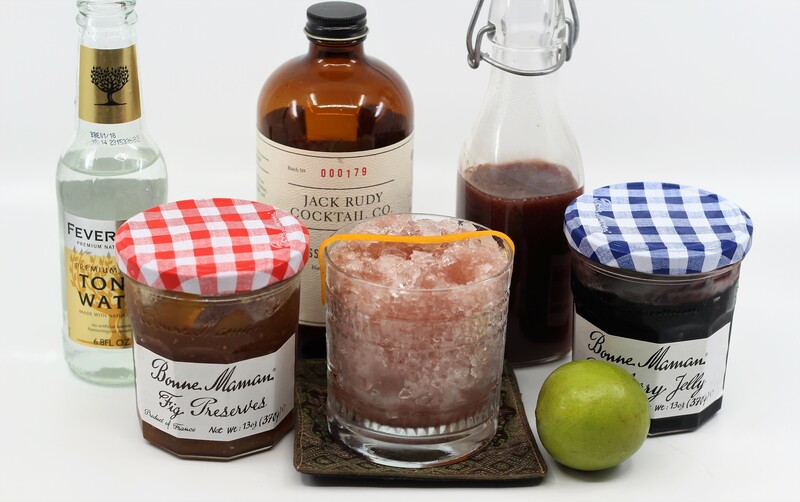 In his “Baker’s Dozen”, he combines two of my favorite cocktail ingredients, lime juice and tonic syrup, with a decadently delicious blackberry and fig syrup, to create one of the most delicious drinks I’ve tasted in quite a while. Do yourself a favor and treat yourself to a bon voyage like this soon – small, sweet, and serene. Cheers! 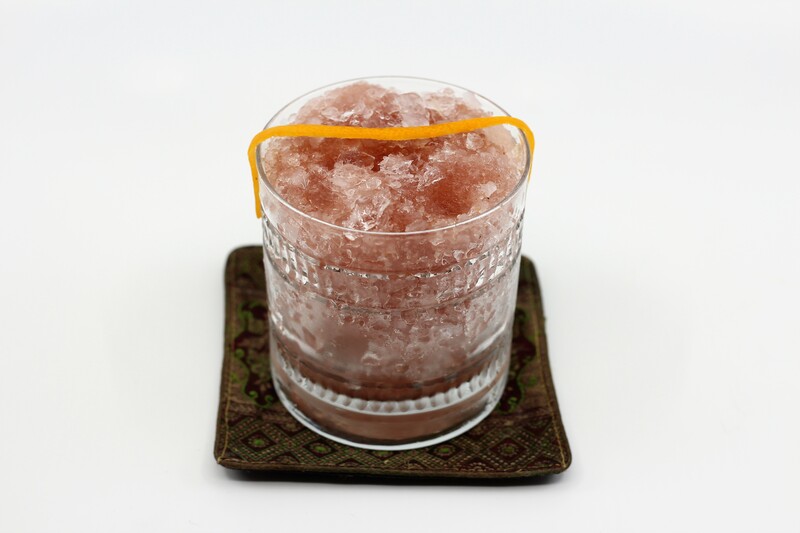 Combine ingredients in a favorite glass and fill with ice. Top with soda water and stir. The original adds a sprinkle of dried Lebanese-style aphrodisiac tea leaves and buds, for garnish.